We’ve probably all heard of the Gunung Padang Megalithic site in West Java, as well as some of the other Pyramids discovered in Indonesia. However, Indonesia is home to thousands of ancient artifacts from ancient Megalithic cultures. The strange thing about Megalithic monuments is the striking resemblance that they bear to each other, regardless of what part of the world they may be found in. Furthermore, the existence of these Megalithic Monuments in Indonesia itself may help to document the migration and spread of Megalithic cultures to Australia, as they would have had to pass through Indonesia before ending up there. Megalithic sites can be found on all 5 of the main islands in Indonesia, primarily Java, Sumatera & Sulawesi, as well as many of the smaller islands such as Sumba and Komodo. There are two known surviving Megalithic cultures in Indonesia to this day. These include Nias Island in North Sumatera, and Ankalang in West Sumba. Presumed to be an ancient settlement, the Cipari Site bears remnants of buildings, graves, and menhirs. 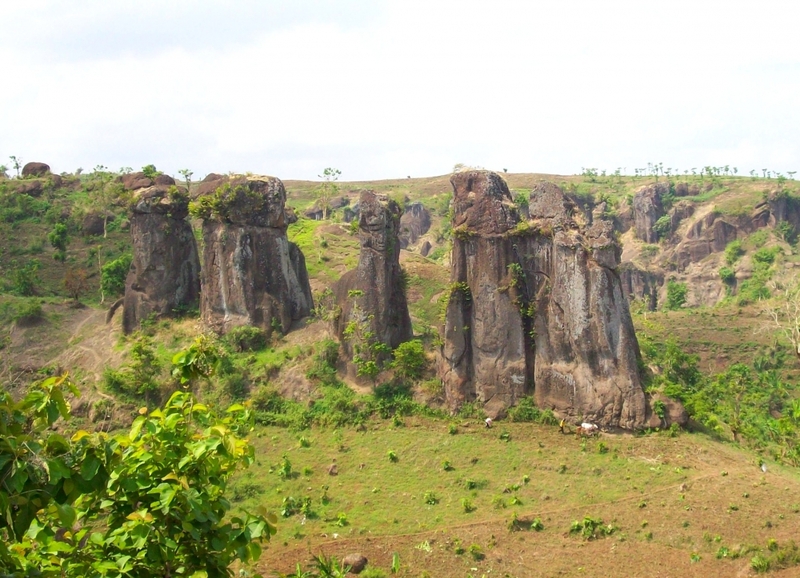 The site is located 661 meters above sea level, at the foot of Mount Ciremai in West Java. The Cipari site was first discovered in 1972. Systematic archaeological research has uncovered kitchen utensils, pottery, bronze, and building foundations. This site is complete enough to describe the life of the community at that time. Based on lithological analysis, stratigraphy, and group of findings, Cipari Site has experienced two periods of settlement: the Neolithic, and the early part of the Bronze age, ranging from 1,000 BC to 500 BC. The culture of the ancient Cipari dwellers is associated with ancestor worship, and the custom of erecting large stones, or Megaliths. The basis of the megalithic tradition in Indonesia is a close relationship between the living and the dead, the welfare of humanity, livestock and agriculture. Dozens of carved megaliths can be found scattered across the vast fields and streams of Bada Valley in Central Sulawesi. The artifacts range in size from just a few centimeters in height, to the largest which stands 4.4 meters high. 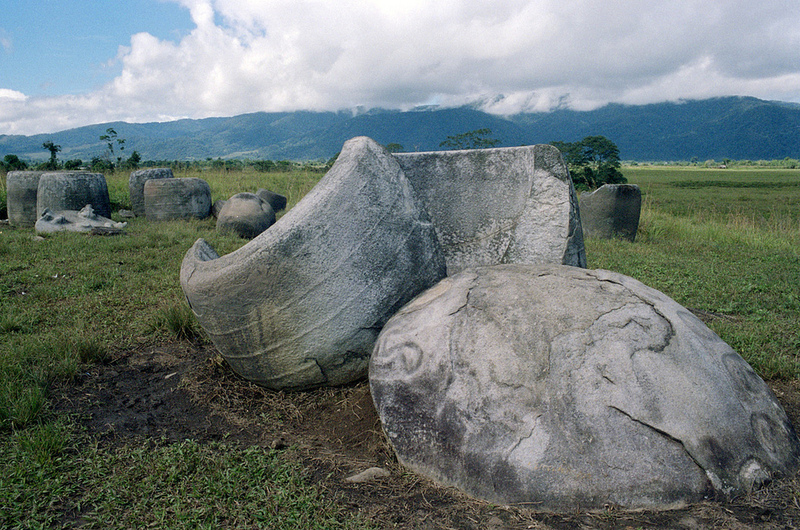 The Megaliths also range in age from 1,000 years old to over 5,000 years old, indicating thriving Megalithic civilizations in Central Sulawesi for thousands of years. 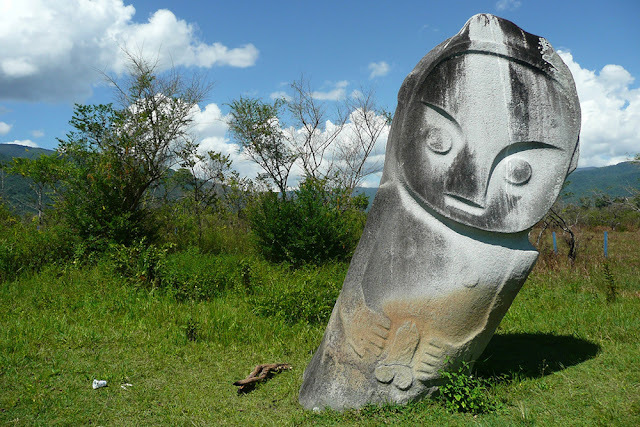 According to an inventory conducted by Sagarmatha Faculty of Agriculture in 1994, there are over 300 megalithic sites around the Lore Lindu National Park. The artifacts exist in the form of statues, large pots, or vats and stone mortars. Unfortunately, many of these ancient relics have been smuggled out of the area, sold and traded. Palindo, (The Entertainer,) is the largest statue in the area. Researchers suggest that the Palindo monument is related to death, because his round face and large eyes face west. According to Toraja culture, a region in South Sulawesi, West is the direction of death. This theory holds some credibility based on the fact that the Toraja and Bada people share linguistic and cultural similarities. 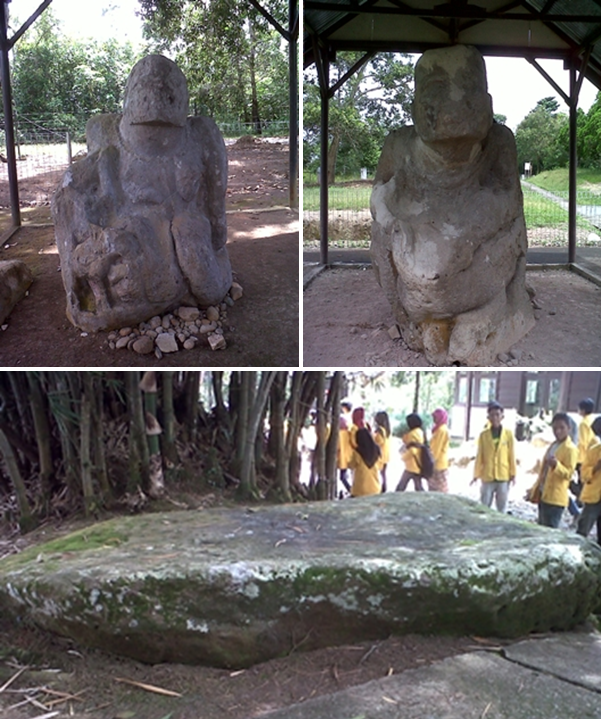 The Batu Solor megalithic site is often referred to as the “Stone Henge” of Indonesia, due to a clear structural resemblance. While this may or may not have been built by so-called “sun-worshippers,” the name “Solor” actually has nothing to do with Solar, but is actually named that because of its location in the small village of Solor. While it is not 100% certain if these are natural or man-made, I'm pretty sure I can see faces carved into these rocks. More than a thousand megalithic artifacts have been uncovered in 16 villages surrounding Bondowoso. These include menhirs, sarcophagi, dolmens, and others. These artifacts show a developed culture present in the area more than 4,000 years ago, before the start of the Bronze Age. One of the many Basemah Megalithic sites. Image source: South Sumatera Tourism. The Basemah Megalithc culture was first studied by L. Ullman in 1850. Further studies in the following years suggest that the Basemah culture had a working knowledge of tools and metal, and were capable of carving sharp and pointed edges. There are 19 known Megalithic sites of the Basemah culture across an area of about 80 square kilometers. The Tinggihari Megalithic Site is not too far from the Basemah area, and is dated to be roughly 5,000 years old. Various megalithic artifacts can be found here, including dolmens, menhirs, and grave stones. The findings range in size from just a hand’s breath to over 3 meters in height. Many of the stones are carved in the shape of humans or animals. There is also a large “dolmen” type megalith consisting of a large flat stone held up by smaller stones beneath it. This stone may have been used to place offerings or as a gathering spot. 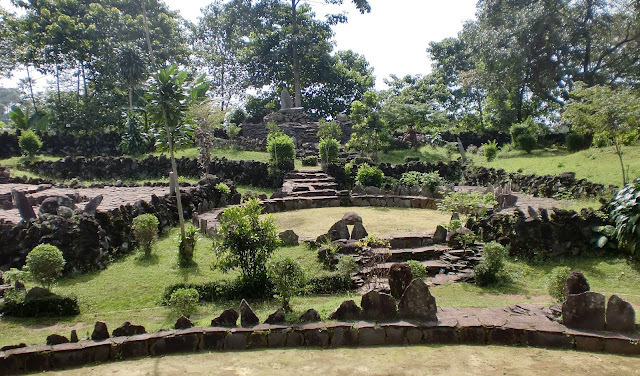 Those are 5 of the lesser known Megalithic Sites in Indonesia, but there are hundreds more. Perhaps we will discuss them in another post.